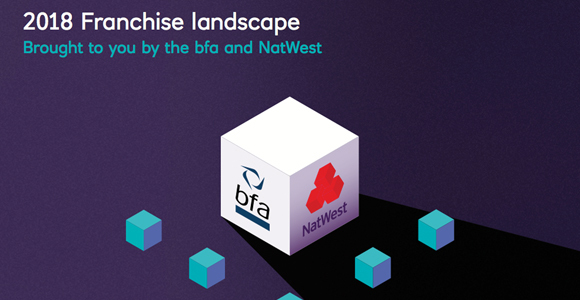 Franchising in the UK is continuing to grow according to the latest BFA/NatWest Franchise Survey. The survey finds that the franchise sector has increased by 14 per cent in both its contribution to the UK economy of £17.2bn (2015: £15.1bn) and the number of people employed in franchising rising to 710,000 (2015: 621,000). Additionally, there has been a healthy 10 per cent increase in the number of franchised units in the UK to 48,600 (2015: 44,200). The biggest growth areas remain personal services, hotel and catering, along with store retailing, despite a challenging environment in retail. Franchising is now attracting even more younger entrepreneurs than in the last two years, with 18 per cent of all franchisees now under 30. The survey also shows a 20 per cent rise in the number of women becoming franchisees, with 37 per cent of all new franchisees in the last two years being female. The growing area of multi-unit ownership sees 36 per cent of franchisees now owning more than one unit (2015: 29 per cent). Again the hotel and catering sector dominates with 60 per cent of franchisees owning multiple units, followed by the store retailing category with 37 per cent. As franchise systems mature there is inevitable a higher amount of new franchisees buying a franchise resale, with 51 per cent of franchise systems expected to offer resales this year. Pip Wilkins, chief executive of the BFA, said: “Thanks to franchising, more people are starting their own business and more jobs are being created. These figures show that whatever your background, with the right attitude and ambition you can thrive. Regional economies have also benefitted from the expanding franchise sector says the survey, with economic growth since 2015 of 7 per cent in the North East (to £800m); 18 per cent in Wales (£500m); 11 per cent in Yorkshire (£1bn) and 14 per cent in the East Midlands (£1.2bn). The data also revealed the continuation of a long-term trend that around 90 per cent of franchisees have reported profitability annually for over 20 years running, with 93 per cent profitable in 2018. Six in 10 franchised units achieved annual turnover of more than £250,000. Those who have held a franchise for over five years and claim to be highly profitable is at a record high of 19 per cent, with only two per cent loss-making. Overall, of the businesses surveyed only three out of 198 businesses said they were loss-making. When recruiting franchisees the main three reasons why franchisors did not grant a franchise to a candidate was insufficient capital, performance at interview, and lack of business acumen. The top three choices for franchisees selecting a franchise brand was interest in the field of business, growth potential and ‘liked the people’. One in three UK franchisors have international operations with 22 per cent operating in Europe, four per cent in the U.S. and 15 per cent in other worldwide locations. The primary barriers for UK franchisors expanding overseas were legislation, language and lack of suitable franchisees. With Brexit pending both franchisors and franchisees said they remain confident in their own business but less confident about the economy in general. The 31st survey, commissioned by the BFA in partnership with NatWest, can be purchased from the BFA for £95.